Do Ho Suh’s art will make you second guess your own eyes and consequently second guess your whole life. You’ll look at it from afar, get really confused, rub your eyes and look again to no avail. As soon as you get close enough, you’ll realize his sculptures are made of semitransparent fabrics in a variety of different Easter-y colors. But if you’re like me and you thought it was a video projection at first, then you’ll be thrown headfirst into a semantics crisis when you realize what’s really goin’ on. Born in Seoul, South Korea, Do Ho Suh had dreams of becoming a marine biologist as it was “the passion of [his] life.” But this passion eventually gave way to dreams of becoming an artist so he got his BFA and MFA in Korea before he did his two years of mandatory military service -- an experience that took a dump on his psyche while simultaneously inspiring one of his best works, Some/One (2001). After this, he moved to the United States to attend RISD and then Yale University. A real smarty, this one. Suh was obsessed with the idea of making his home transportable because he is always moving between his three homes, New York, London and Seoul. He is pretty much constantly homesick for one of the three places. New York especially holds a special place in his heart because of his sweet, elderly landlord who lives upstairs and dotes on Suh like a son. Seriously ,their interactions just make you feel all the feels. His landlord eventually passed away, leading Suh to make Staircase- III as a tribute to the man upstairs (the landlord not God to be clear). Home is where the art is, I suppose. “SHORT: Do Ho Suh: ‘Rubbing / loving,’” December 9, 2016, accessed February 10, 2017, http://www.art21.org/videos/short-do-ho-suh-rubbing-loving. Fernandes, Andréa. “The Korean New Yorker: Do-Ho Suh.” Accessed February 10, 2017. http://mentalfloss.com/article/22132/korean-new-yorker-do-ho-suh. “Do Ho Suh - Artists.” September 29, 2000. Accessed February 10, 2017. http://www.lehmannmaupin.com/artists/do-ho-suh/press_release/0/artist_video. Do Ho Suh (hangul:서도호, born 1962) is a Korean sculptor and installation artist. His works often explore the concept of space and home. Suh was born in Seoul, South Korea in 1962. He earned a Bachelor of Fine Arts and Master of Fine Arts from Seoul National University in Oriental Painting. He also studied at Rhode Island School of Design where he received a Bachelor of Fine Arts in painting in 1994. Then, in 1997, he received a Master of Fine Arts in sculpture from Yale University. Suh currently has live-in studios located in London, New York City, and Seoul. Suh was named the Wall Street Journal's Innovator of the Year in Art in 2013. 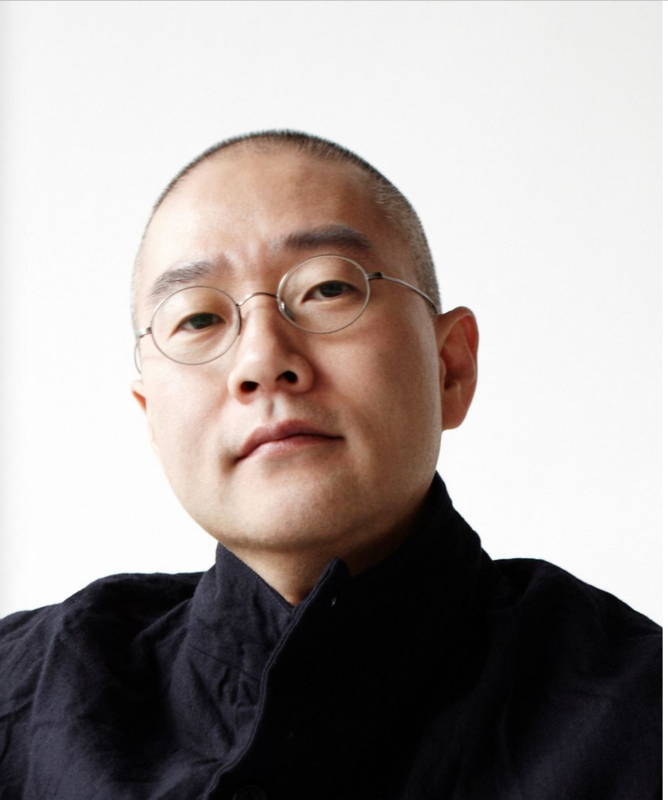 He represented Korea at the 49th Venice Beinnale in 2001. Check out the full Wikipedia article about Do-ho Suh.